A self-taught boat captain and boat builder — as he was a self-taught climber — Mr. Porter devoted himself to scientific work in the far south of the Western Hemisphere for his last 20 years or so. He made botanical and oceanographic surveys of the South American coastline, guiding visiting scientists through the maze of Chilean fjords and channels in the Tierra del Fuego archipelago. In recent years, he helped conduct climatological studies — setting up weather stations and glacier monitoring networks — in affiliation with the Climate Change Institute at the University of Maine. "Charlie Porter worked very hard for the Comer expeditions to southernmost Chile, in particular working with Brenda Hall on several voyages and being very kind to students. We used his boats on six occasions. He was extremely skilled, and always happy. 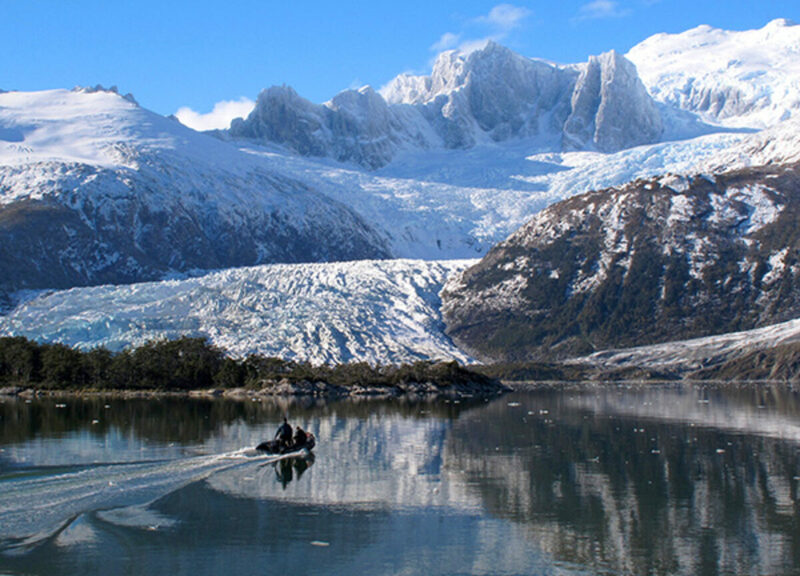 Without him, we never could have done anything in the critical but remote region of southernmost Patagonia." Because he never talked about it to anyone, except perhaps me, no one seems to realize that Charlie made the first ascent of the greatest granite wall on Earth, the east face of The Fortress in Torres del Paine. He said that it was quite safe because the whole 2,000 meters was overhanging and therefore all the falling rocks passed outside of him. But he also pointed out that there is only one way to get off of an overhanging wall. Straight up.